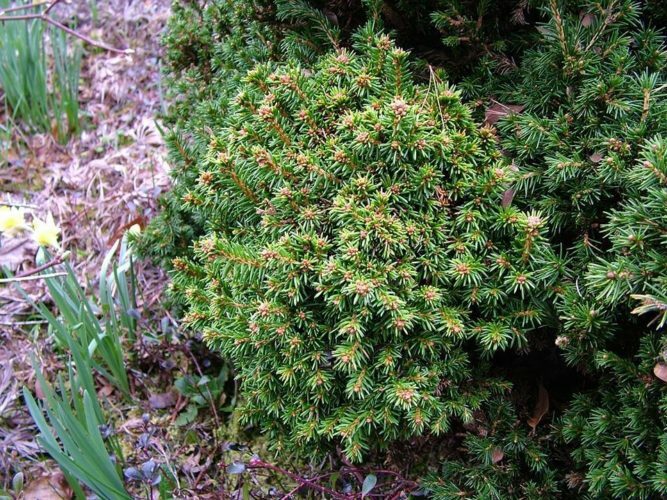 Picea abies 'Wichtel' is a miniature form of Norway spruce, arguably among the smallest selections ever named. Its structure is extremely tight and congested with very short, 0.25 inch (6 mm) long, dark green needles. 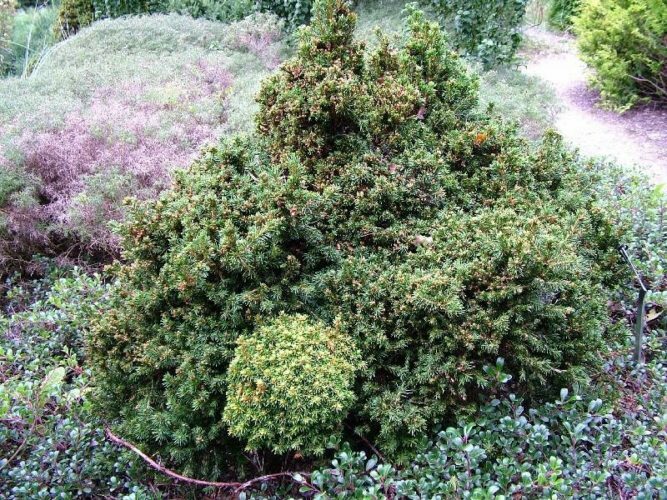 Typical rate of growth in most areas is 0.12 inch (3 mm) per year, resulting in, for all intents and purposes, something resembling a 3 to 4 inch (7.5 to 10 cm) moss-covered rock after 10 years in the garden. This cultivar is extremely difficult to site and maintain in the garden. In full sun the foliage will burn resulting in dead spots throughout the plant. In too much shade, the insides will tend to rot, particularly in damp areas. An absolutely critical task is for the gardener to "clean out" the internal parts of the plant, removing as much dead material as possible on a yearly basis. This will allow for air to circulate, lowering the risk of fungal issues and rotting. Günter Horstmann is credited with first propagating, naming and introducing 'Wichtel' through his family's nursery in Schneverdingen, Germany in the late 1990s. Its ortet was a witch's broom on a specimen of Picea abies 'Humilis' found at the Hillier Arboretum Rock Garden, Hampshire, United Kingdom. It should be noted that 'Humilis' is well-known for producing vastly divergent rates of growth within the same plant. The passage of time has proven that 'Wichtel' has proven to be extremely stable in its miniature form, proving its unique genetics. Translated from the German language "Wichtel" means "Gnome" in English. 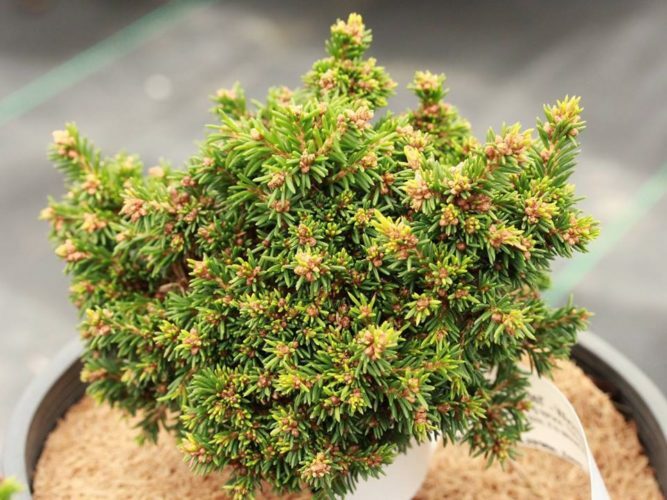 'Wichtel' was one of three plants selected in 2012 for the ACS Collectors Conifers of the Year program. Picea abies 'Wichtel' — a nice potted specimen at Conifer Kingdom nursery, Silverton, Oregon. Picea abies 'Wichtel' — the original plant with broom at Hillier Arboretum, UK. Picea abies 'Wichtel' — a closeup of the original broom in 2006. 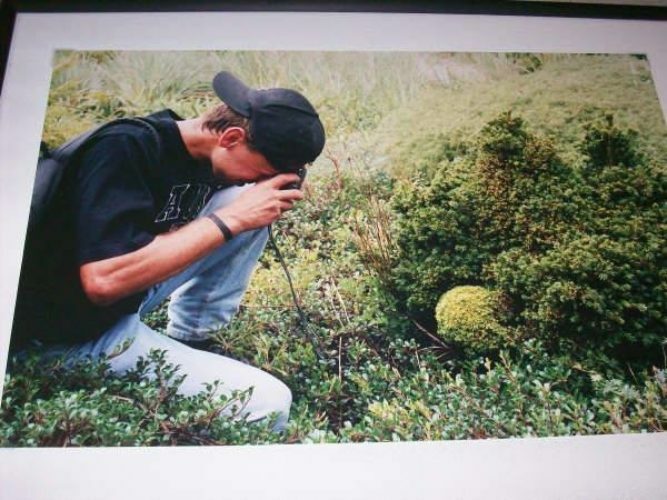 Picea abies 'Wichtel' — Edwin Smits photographing the original plant in 2002 — an historic plant with a legendary plantsman.